When a weather event occurs, first responder organizations and local authorities automatically take the lead, but people in the communications fields may be working 24-7, as well. I have lived in the greater Houston area since 1990. As the saying goes, I'm not a native Texan but I got here as fast as I could. 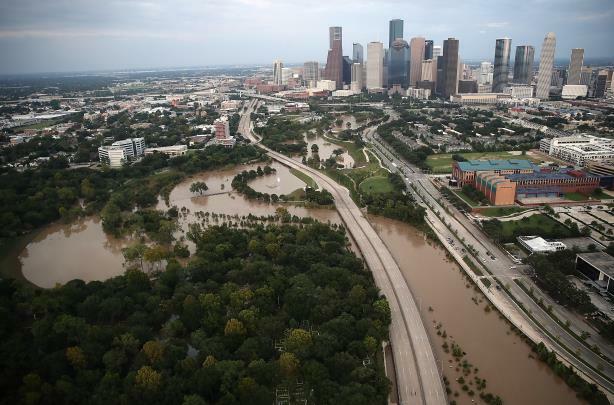 I provided communications support for One Houston, the United Way-led local relief effort after Tropical Storm Allison's $4 billion assault in 2001 and, three months later, the fall of Enron. In 2005, I volunteered at the Astrodome and when New Orleans, Louisiana, was crippled by Hurricane Katrina. About a month after Katrina, in September 2005, I was one of millions who attempted to evacuate in anticipation of Hurricane Rita. In 2008, I was a week away from chairing the Public Relations Society of America Houston chapter's PR Day conference when we cancelled because Hurricane Ike had landed and local communications leads would be "all hands on deck" for the foreseeable future. My point? I've seen many weather-related disasters in my community as a citizen and as a communications consultant. I have never seen anything like Hurricane Harvey's devastation across the Gulf Coast. When a weather event occurs, first responder organizations and local authorities automatically take the lead. Many non-essential businesses shut down, whether voluntarily or due to damage. People in the communications fields such as journalists, public relations and crisis communications leads, and marketing and advertising leads, may be on call 24/7 for their employers, clients, and community groups. We aren't saving lives, but we have work to do. Plan to work as a team with unreliable internet access and power and from remote locations. Stay connected in your neighborhood to use your skills as a volunteer communications counselor or do something different like serving a meal at a shelter; CKP team members who weren't trapped in their homes helped serve 1,500-plus meals in four hours while handling media inquiries and client calls). Manage your pace. In runner's terms, managing communications before, during, and after a weather-related disaster like Harvey is a cross-country trek and not a 40-yard dash. Finally, I want readers to know that we Texans and our next-door neighbors in Louisiana are resilient and will be OK again. I do encourage you to make a donation to a worthy organization focused on relief efforts. However, nothing beats the pure harnessed power of neighbors helping neighbors and teams working together. Teamwork wins every time. Jennifer Evans is principal and director of operations for The CKP Group, a boutique communications firm based in Houston with additional operations in Austin, Texas, and Los Angeles.